Coke, Sellotape, Hoovers… and Physios? Fancy a can of Coke? Got any Sellotape for this parcel? Time to Hoover the carpet? What’s the similarity in these statements? Well, we all know what we mean when we ask for a Coke, when someone asks for Sellotape or we’re told to do the hoovering. But what we often miss is that we’re referring to these items by using the brand name of the best-known example. Sellotape is also a brand name of sticky tape. Or at least we think that’s what it is! The name is so synonymous with the product that we struggled to think what we call tape that sticks things! Hoover is a brand of vacuum cleaner. So, we should vacuum the carpets, perhaps with a Hoover product, perhaps with a Dyson. 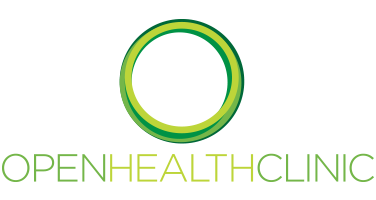 OpenHealth is a multi-disciplinary clinic, with massage, rehab, Pilates, nutrition and acupuncture offered alongside osteopathy and physiotherapy. Where we perhaps differ from some multi-disciplinary clinics is that we have more osteopaths than physiotherapists. This isn’t a problem, but we are very aware when the phone rings of how many patients ask for physiotherapy without perhaps having considered osteopathy. And that’s where Coke, Sellotape and Hoovers come in. The reason for this is that we consider physiotherapy a brand within manual therapy, alongside osteopathy and chiropractic. Some people’s response to this is, “but don’t osteopaths only treat backs?” The simple answer is no. Osteopaths treat the whole body from head to toe – simple as that! There’s no issue seeing an osteopath about shoulders, knees, ankles or any part of the body. They’re trained to do it all and have exactly the same assessment skills as a physiotherapist. Some other people say to us that they thought osteopaths only treat bones and joints, whilst physiotherapists stick to muscles, ligaments and tendons. Again, the answer is no! Quite simply, you can’t treat any of those structures without understanding and addressing the others. So again, osteopaths and physiotherapists have the same skill sets here. Yet another common statement is that people don’t want to see an osteopath as they’d rather not have their joints cracked like a chiropractor might do. Well, it is true that osteopaths are trained to crack joints, but unlike chiropractors who commonly seem to use this type of treatment a lot, osteopaths tend to consider it to be just one more tool in their box. As an aside, how a practitioner (osteopath, physiotherapist, massage, you name it…) treats their patients is a personal issue, both for the practitioner and the patient. Practitioners choose to use techniques that they feel they understand the best, are able to carry out confidently, and that they feel have a true benefit for the patient. Even more importantly, the patient should be comfortable with the treatment being carried out. Something they don’t like isn’t likely to help! So where do Osteopaths and Physiotherapists Differ Then? As a generalisation, chiropractors concentrate on joint treatment, physiotherapists concentrate on muscle strength, whilst osteopaths treat the joints AND the muscles. As another general rule, a newly-qualified physiotherapist is well trained in how to strengthen a patient, whereas a newly-qualified osteopath is well trained in treating areas of stiffness in a patient’s body. As they progress through their careers, they often tend to meet in the middle. In the UK, physiotherapists are trained to provide out-patient treatment in the NHS. That means that someone else has made the diagnosis, and the physiotherapists are there to provide a specified treatment program. Of course, physiotherapists are trained to diagnose issues, and as they progress through the ranks they will tackle issues more critically, but sadly we hear too many stories of rushed NHS physios simply carrying out the plan they’ve been told to follow. Meanwhile, osteopaths in the UK have to demonstrate primary health skills to qualify, which means that they are expected to spot other forms of pathology that might be masquerading as musculoskeletal problems. For example, shoulder pain that is a result of inflammation in the gall bladder or back pain that is actually caused by an abdominal aortic aneurysm. This is NOT to say that physiotherapists would never spot these things, but they are further down the list of requirements to qualify. This brings us to the big point about osteopathy. The point this blog is here to make is that the term physiotherapist has taken on the equivalent in our society of Coke, Sellotape or Hoover. Which seems a slight shame since there are many other practitioners out there, including osteopaths, who have a lot to offer – and perhaps can offer the bit you’ve been missing. If you have found this article of interest, please feel free to contact the clinic on 01344 625475 to discuss how we can help.